President Paul Kagame has told fellow Heads of State of the East African Community that nothing should hold back the regional block, regardless of challenges faced. At the 2th ordinary summit of the regional block, Kagame took over EAC chairmanship from his Ugandan counterpart President Yoweri Museveni. Kenya’s President Uhuru Kenyatta assumed the rapporteurship role for all EAC policy meetings. 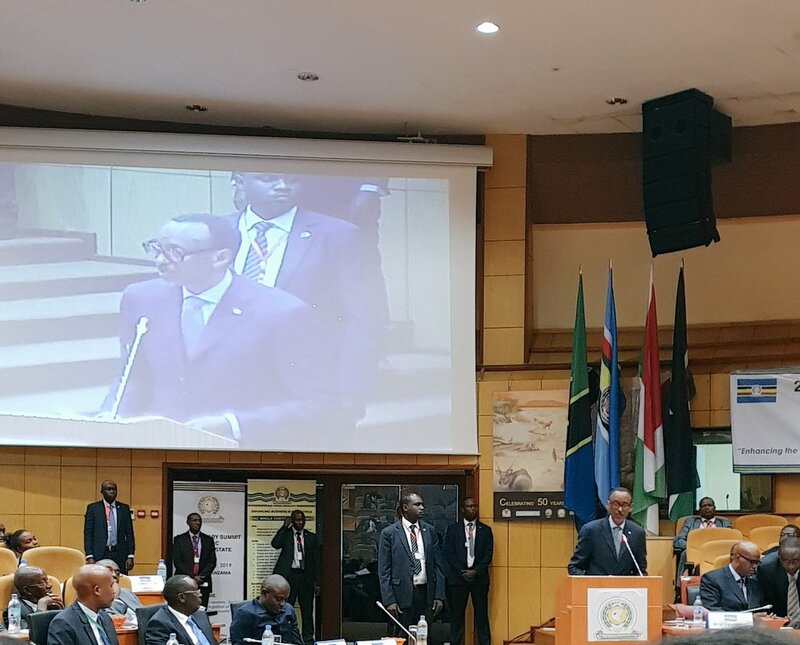 In his address, Kagame told fellow Heads of State that EAC had previously made good progress and nothing should hold it back. 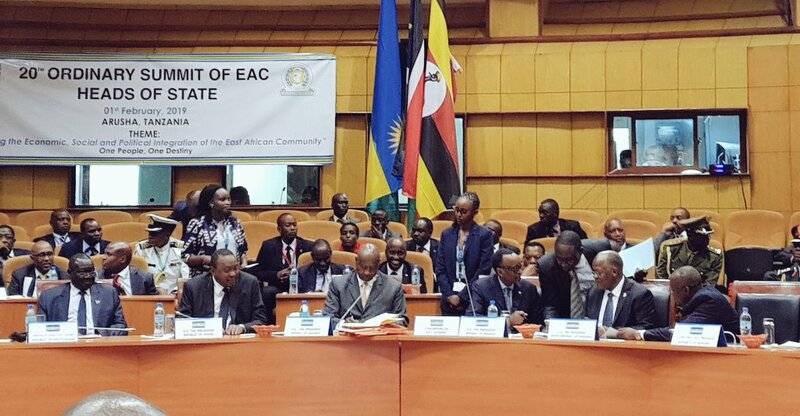 “We cannot afford to fall behind, particularly when the EAC was starting to make good progress. It is up to us to ensure that this community works for us as it should. Nothing should hold us back from the important business that we have committed to for our collective good, including trade, infrastructure, industrialisation, and security,” Kagame said. “It is an opportunity to address whatever challenges exist, directly and frankly, so that we can move confidently together into the future,” he added. The summit took place in Arusha , Tanzania. Upon taking over EAC chairmanship, President Kagame said he was looking to working with fellow leaders to push the community ahead. “It is an honour to serve as Chairperson of our Summit for the next year. I look forward to working together with my fellow leaders to serve the people of East Africa,” he said. Kagame said that today’s summit comes at an important moment, as member states approach the 20th anniversary of the revival of the East African Community. “We have much to celebrate. But it is also a moment to reflect on the meaning and value of this Community, which is important to all of us,” he said. “Our Treaty is clear that the East African Community is people-centered. This should inform all our reflections and actions. We will measure success by how easily our people, their goods and capital move within our region, and how prosperous they become as a result. This is our task. I know we are equal to it, if we choose to put all our energies into making it happen,” he said. Kagame reminded fellow leaders that Africa is moving ahead with deeper integration, as are other Regional Economic Communities, which are essential building blocks of continental integration. The President also took the opportunity to express solidarity with Kenyans – following recent terrorist attack. “Allow me to take this opportunity to express our solidarity with the President Uhuru of Kenya, and the people of Kenya, in the fight against terrorism,” he said.